I’ve seen three games at PNC Park, and I’ve seen unusual things at all three of them. 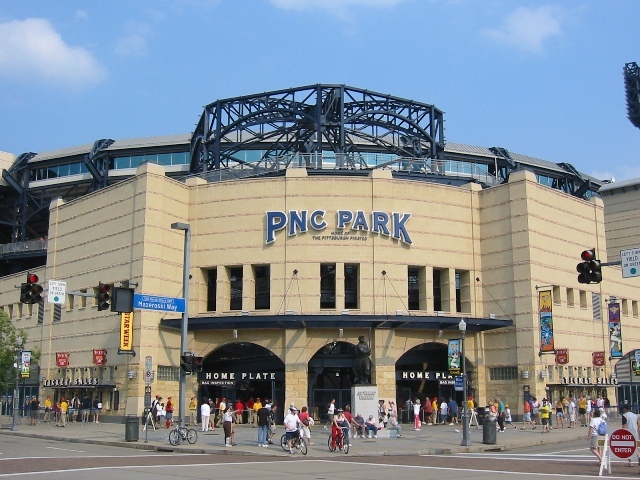 I first visited PNC Park in the year of its opening, August of 2001. Five years later, I would take my then girlfriend (now wife) on our first date anniversary, and five years later I would visit again for the fact-finding mission of the PNC Park E-Guide. My first game saw the Pirates against the Arizona Diamondbacks, August 23, 2001. Pitching for the D-Backs was none other than Randy Johnson, one of the most dominant pitchers of his or any era. Johnson and the Diamondbacks would become the World Champions that year in one of the greatest World Series ever played; he and Curt Schilling would be named co-MVPs. At the time Johnson was on the verge of history. He needed 13 strikeouts to become the first pitcher in history to record 300 strikeouts for four straight seasons. 13 is a lot in one game though, so I imagined the odds of my witnessing this were slim. Well The Big Unit struck out the side in the first, recorded one in the second, and struck out the side again in the third. After five innings he was up to ten, and in the sixth he sealed the deal, striking out the side again to reach the magic 13. He would record three more in the seventh to make it 16—but he also surrendered four runs that inning. Didn’t have All-Star tickets, unfortunately. But Pittsburgh dressed nice for the occasion. In June of 2006 I presented my now-wife Suzanne with our dating-for-one-year anniversary gift—a trip to Pittsburgh with a stop at Hershey Park on the way. Despite her not being the slightest bit of a baseball fan, I thought she would enjoy a game at PNC Park if I added a view from the top of the Duquesne Incline. I was right. 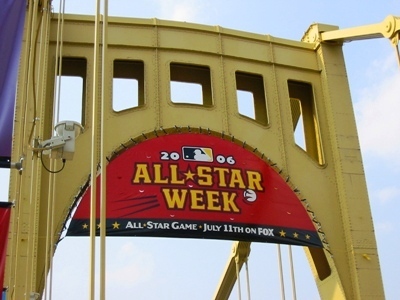 This was the year that the All-Star Game was in Pittsburgh, and we visited the week before the game, so banners were everywhere celebrating baseball’s showcase coming to Steel City. We sat behind home plate on July 1, 2006, for an interleague matchup between the Pirates and Detroit Tigers. 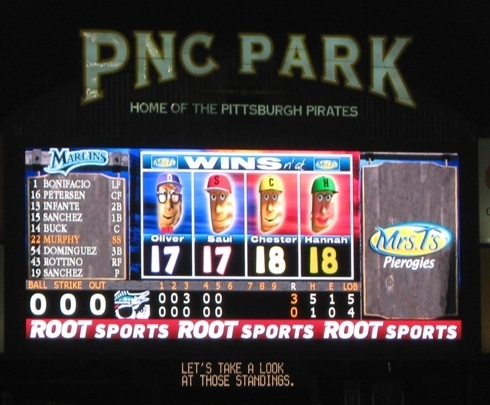 The Pirates were dead last with a 27-54 record…a frustrating .333 winning percentage. 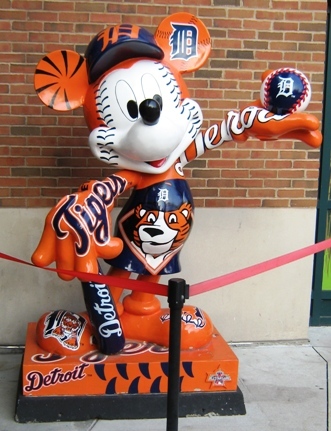 The Tigers on the other hand were just the opposite: 55-25 and in first place in the AL Central going into the game. N. McClouth – ground ball single to center. J. Bautista – ground ball single to left, McClouth to third. J. Wilson – strikeout, swinging. S. Casey – line drive single to center, McClouth scores, Bautista to third. J. Bay – fielder’s choice, Bautista scores on E5, Casey to second. F. Sanchez – Reached on E3, Casey to third, Bay to second. J. Burnitz – Reached on E4, Casey scores, Bay scores, Sanchez to third. J. Castillo – Doubled to center, Sanchez scores, Burnitz to third. R. Paulino – Ground ball single to left, Burnitz scores, Castillo scores. N. McClouth – Flied out to left. Now, I was there. The Pirates batted around and scored seven runs in the inning, and I can tell you that the only hard hit ball of all eleven at-bats was Castillo’s double. What kind of Mickey Mouse defense is this? Seven runs on four hits and three Tiger errors…six of the runs unearned. It was undoubtedly the strangest half-inning I’d ever seen. The Pirates fans sure didn’t seem to mind, but the few Tigers fans I saw there had to be shaking their heads at that one. That would be the final: Pirates 9, Tigers 2. In September of last year I visited Pittsburgh with the wife again, this time on the fact-finding mission for the PNC Park E-Guide. The wife, despite being four months pregnant, was quite the sport about joining me in Pittsburgh and for the tour of PNC Park we did in the morning. She wasn’t up to the game, which was just as well, since I spent much of it roaming the ballpark taking photos. I managed to get the needed photos early, and was able to sit and enjoy the contest, which I don’t often get to do on these missions. 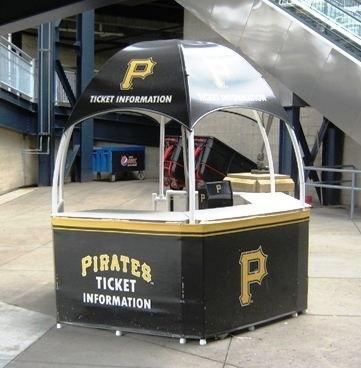 It was Saturday, September 10, and the Pirates took on the Marlins in front of a crowd of 34,000. Jeff Locke performed fairly admirably for the Pirates, allowing five hits and giving up a three-spot in the third with a couple of walks and a base hit. For the rest of the game, Chris Leroux, Chris Resop and Jose Veras would blank the Marlins. Glad to see they’ve achieved parity in the Pierogi Race. Unfortunately, only Neil Walker could manage a hit against Marlins pitcher Anibal Sanchez, who pitched a one-hitter and walked only three. Sanchez had pitched a no-hitter before, in 2006 against the Diamondbacks, so despite his nearly .500 lifetime record as a pitcher, he is prone to instances of single game brilliance. In this game he struck out 11, and was more or less untouchable after Walker’s double in the second. Final score: Marlins 3, Pirates zip. Pirates fans, as I remember, did not celebrate his performance as opposing fans sometimes do for high achievement, perhaps partly because the loss dropped the Bucs to a 66-79 record after a promising first half of the season. There was also a post-game fireworks show, so perhaps they had other things on their mind, like finding a better seat for the show. So in three games at PNC Park, I’ve seen a strikeout record get broken, a one-hitter, and seven runs scored in one inning through nearly zero offensive might. And a very cool fireworks display. I guess something about my presence at PNC Park delights the baseball gods. Far be it for me to complain.